Hello, dude. How are you doing? 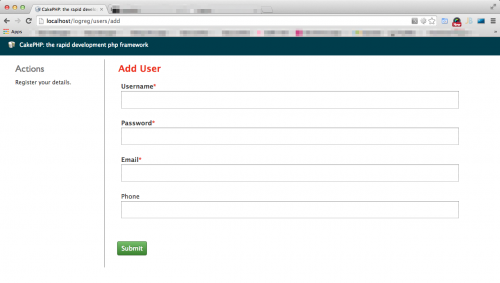 This tutorial will be on a login and registration system with CakePHP. Actually, I have planned to create a personal blog with login and registration facility. I think, this way it will be more useful of your learning. As, I took a pretty big break of writing on CakePHP, this article will be little big compare to other tutorials of CakePHP. Ready now? Before start, you should read the other CakePHP tutorials first. Then come to it. Otherwise it would be painful to you. Because, I am not going to explain all the codes, line by line. Most of the codes you will know if you complete previous tutorials. Ohh.. one more thing we will think about fancy css style. 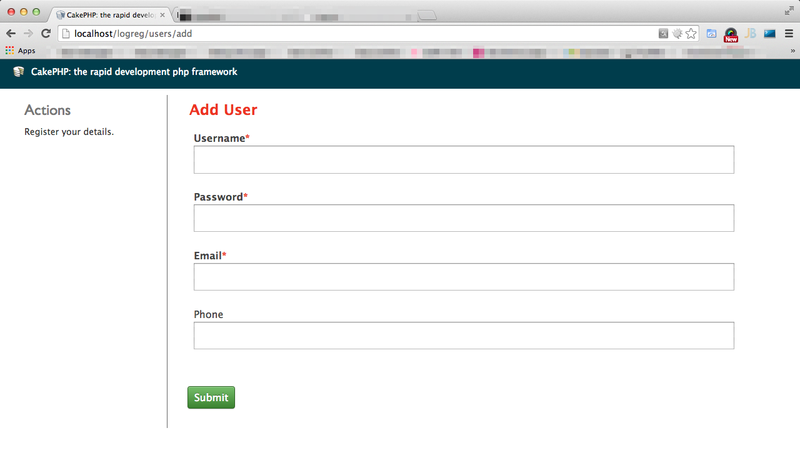 We will use default css style given by CakePHP. So, take a deep breath. First is first, go to CakePHP website and download the latest version of it. Extract it, inside the your htdocs folder and rename as “logreg”. Now open this folder with your IDE and start coding. 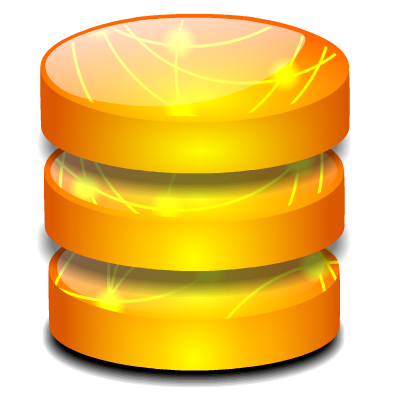 Let’s create our database. We will have two tables called posts and users. Post table contains all of your posts and the user table contains your user information including your encrypted password. Let’s create our model first. As we have two tables in our database, so we will need two Models. 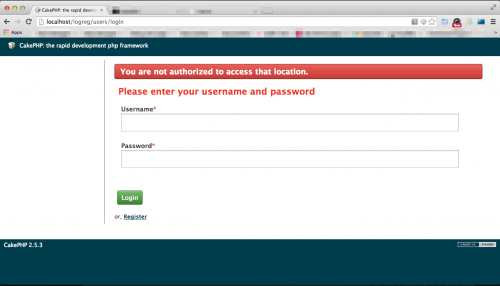 In the user model we have set some form validation code and in the beforeSave() method we have encrypt our password. 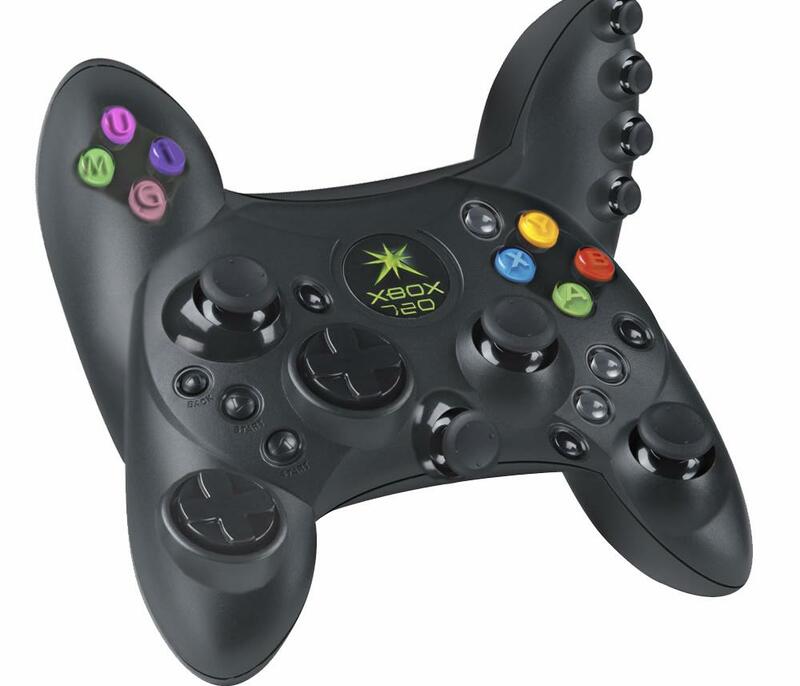 We are done with our Model, so we need to create our Controller, now. Each method in this folder is call their corresponding ctp file from the view. Now open the AppController.php and add some code for our page redirection and authentication. We are going to create all of our views in View folder. In this create two folder called Posts and Users. After reading this long post, I think you have pretty good expertise on CakePHP. You can start thinking yourself as a CakePHP professional. Hello, I think your website might be having browser compatibility issues. When I look at your website in Chrome, it looks fine but when opening in Internet Explorer, it has some overlapping. I just wanted to give you a quick heads up! Other then that, awesome blog! One of the best explanation i experienced. It’s a pity you don’t have a donate button! I’d certainly donate to this excellent blog! I guess for now i’ll settle for bookmarking and adding your RSS feed to my Google account. I look forward to brand new updates and will talk about this site with my Facebook group. Chat soon! please send me admin login and logout detail code in cake php 3 and 3.2. Awesome things here. I’m very satisfied to peer your post. Thanks so much and I am looking ahead to touch you. Will you kindly drop me a e-mail?